A perfect choice for various stage and studio amplifier applications, the tilt-back feature will rest your gear on black velveteen rubber pads for the best grip and reinforcement of your sound. 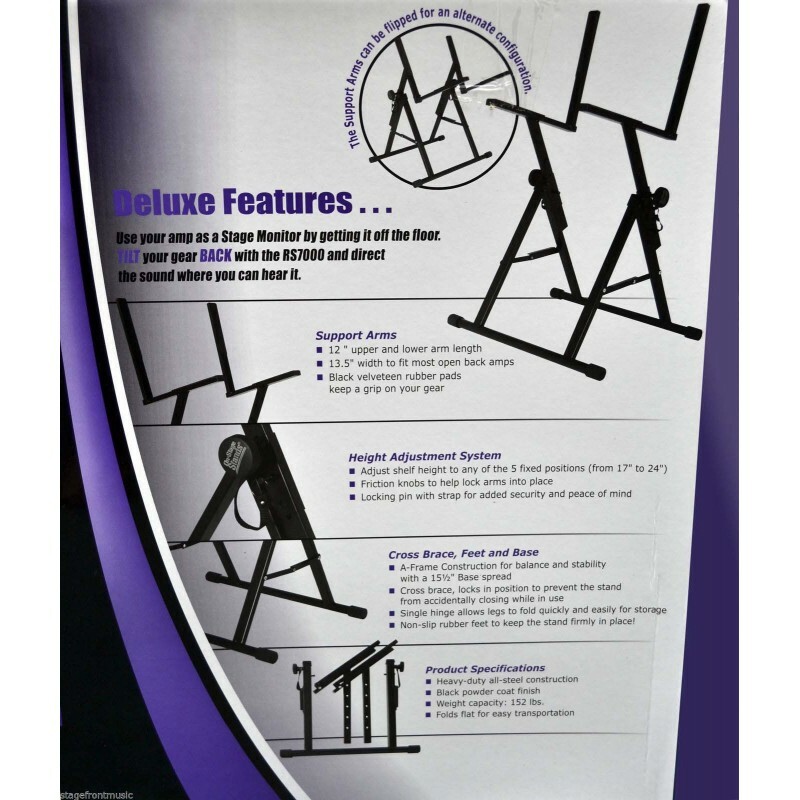 The A-frame construction makes this stand extremely secure and stable when holding equipment and gear. 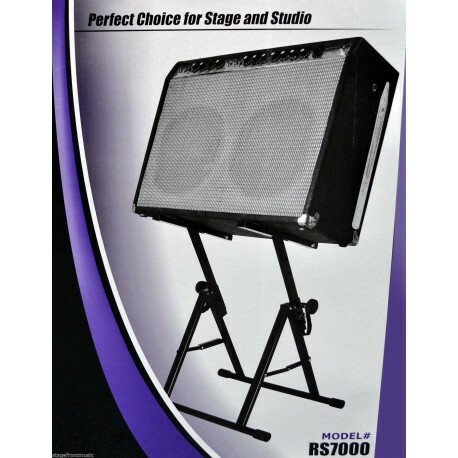 Non-slip rubber feet and a locking cross brace keep the stand, and your amp, firmly in place. 5-Position line-it-up height adjustment. Black Velveteen rubber pads; rubber feet. 68 Capacity. Black finish. Protect your amp by getting it off the floor. A-frame construction for stability stable. Friction locking knob quickly and easily adjusts shelf height to five different positions. Locking cross brace adds strength and support. 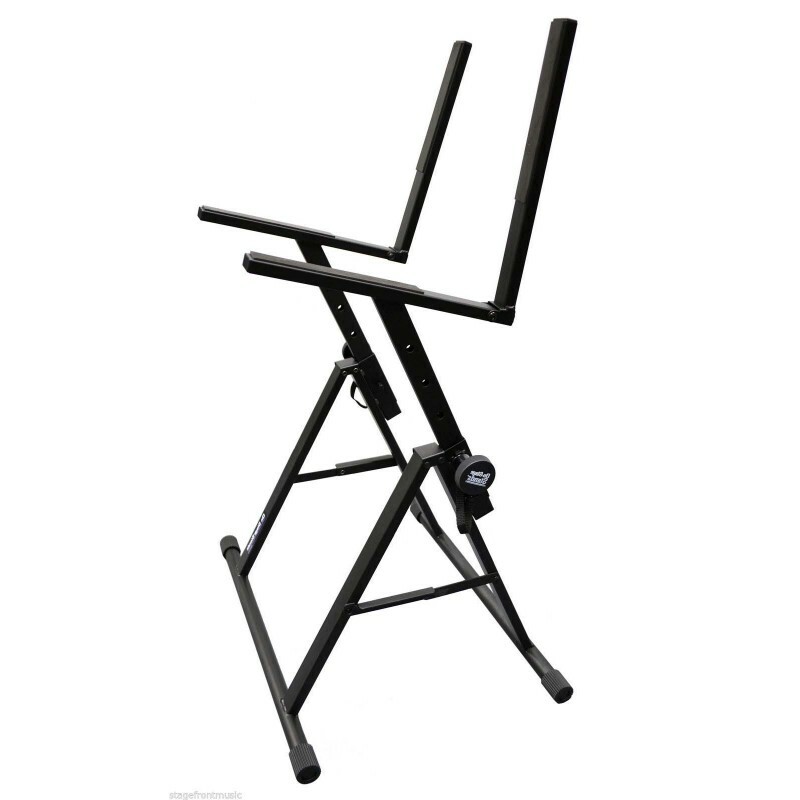 Single hinge allows legs to fold quickly and easily for storage and travel. Locking cross brace adds strength and support. 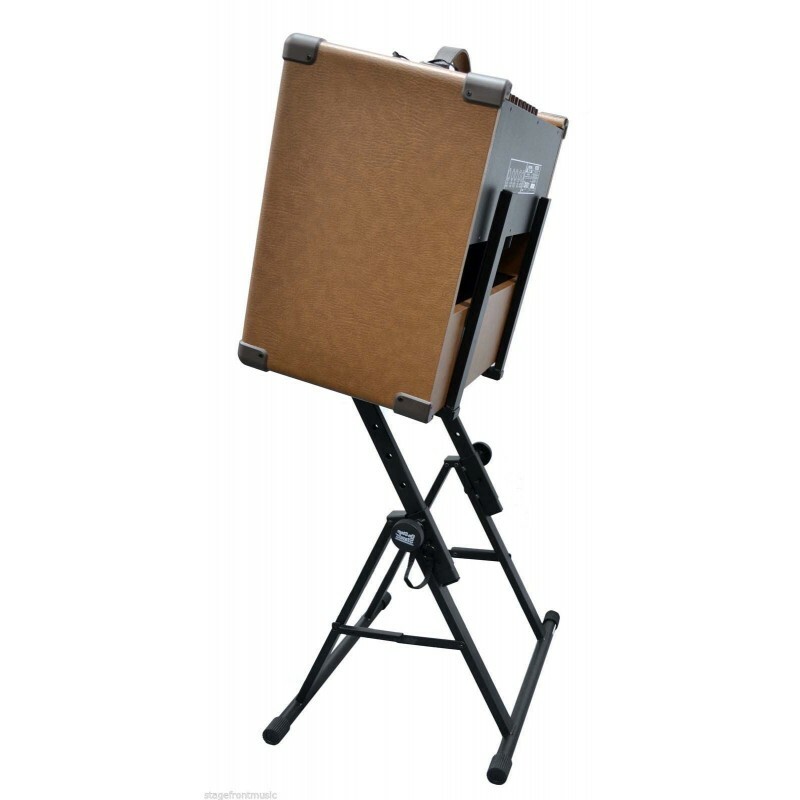 The single hinge allows legs to fold quickly and easily for storage and travel.